Moments of Adventure: Dare2Draw New York Moments! while model Ann McManus Strikes a pose! 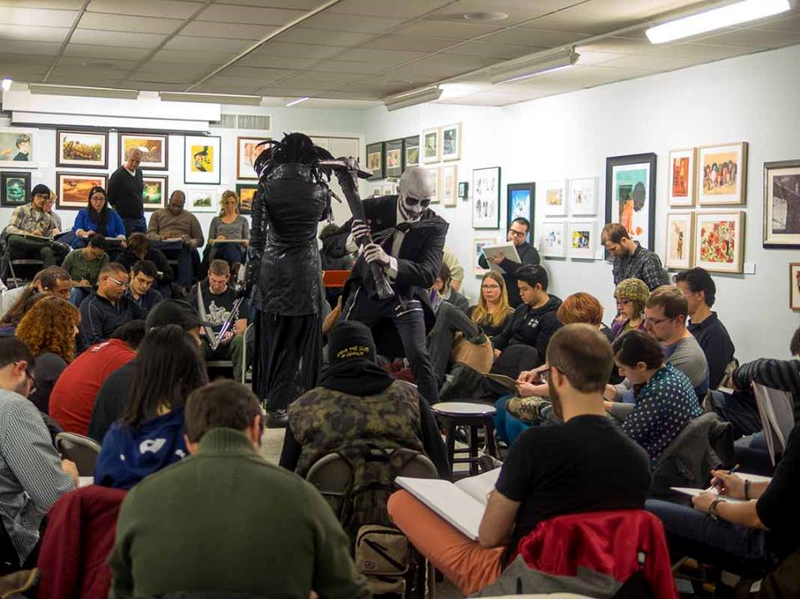 Received a great update and photos from Charles D Chenet the other day regarding the latest Dare 2 Draw event held at the Society of Illustrators in New York. Established a few years ago now, this is a great 'not for profit' drawing workshop and mentoring platform available to all artists. It gives them opportunities to connect, hear from professionals, have portfolio reviews and most importantly draw in an exciting live setting with actor/models in a series of short timed dynamic poses. Charles is ably supported by his dedicated team to ensure the events are professionally run and with their industry connections, a 'top drawer' guest mentor usually attends alongside regular professional artist - and all-round nice guy - Simon Fraser. 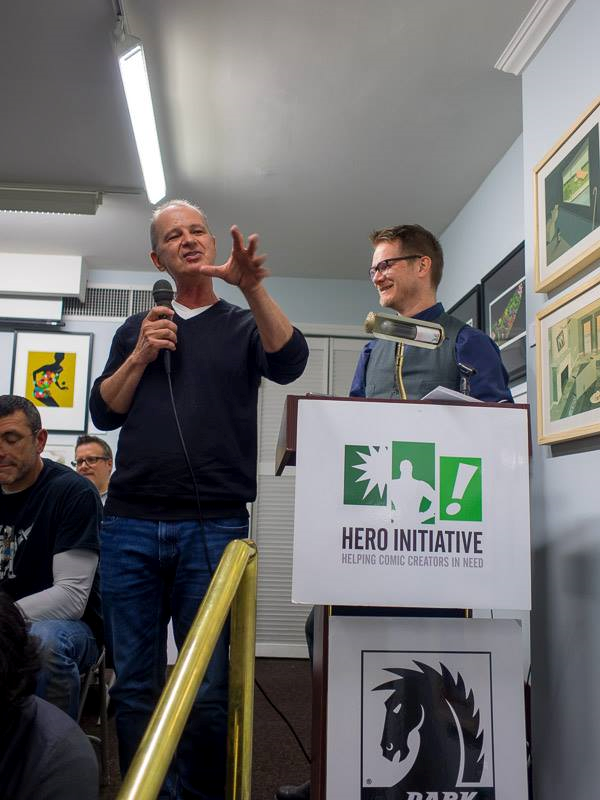 Last month was none other than Klaus Janson who by the looks of the pictures enjoyed his time in front of a packed house. Previous guest mentors have included Kyle Baker, Dean Haspiel, Rebekah Isaacs, Phil Jimenez, Amy Reeder, Bill Sienkiewicz, Paolo Rivera and many more! D2D's Eric Flores name checks one of the events sponsors! 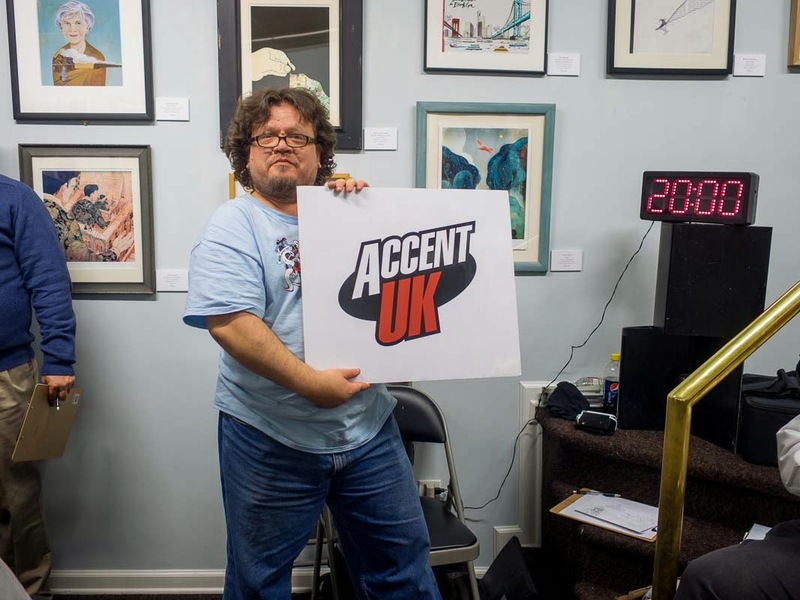 Accent UK became involved when Dave and I met Charles during our first trip exhibiting at MoCCA in 2011 and we've been proud to support the Dare2Draw initiative since. We had an enjoyable taste of the lively D2D experience when Charles insisted we join him and his team during MoCCA 2012's workshop event and it was a blast. Can you spot Accent UK in the crowd at MoCCA's 2012 D2D event? It may be the other side of the Atlantic but its great to be part of something positive for comic artists of all levels to experience and be inspired by. If you live stateside, particularly in the New York area, its well worth checking out. Everyone can get involved by supporting the D2D volunteer team through donations which go towards venue hire, providing art materials and competition prizes. 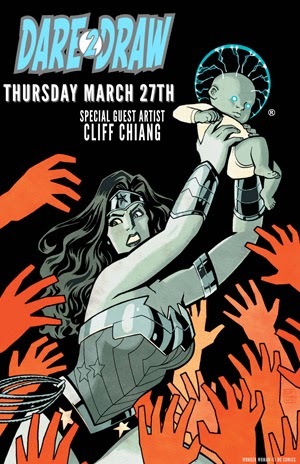 March's D2D features Cliff Chiang!